The name change for the Laser appeared like a consequence of the decertification, announced on March 27, of LaserPerformance as a Laser builder. But in reality, the plan by the Laser class to change the name of the Laser can be traced back much earlier on, in June 2018. Indeed, according to the official records of the European Union Intellectual Property Office (EUIPO), the application for a EU Trademark was made on June 8 2018. "12 - Sailing vessels; sailboats; boats; masts for boats; booms for boats; rudders for boats; sailboats and structural parts therefor, namely, hulls and hull sections; hull fittings, namely, drain plugs, cleats, bailers, coamings, centerboards, keels and daggerboards; beams; booms; masts; rudders; tillers and tiller extensions; sailboat rigging and hardware, namely, rings, pins, halyards, sheets, stays, shrouds, spreaders, pulleys, blocks, lines, gudgeons, pintles, shackles, ratchets, bolts, nuts, screws, washers, bushings, grommets, eyes, hooks, hinges, furlings, bridles, trapezes; sailboat accessories, namely, boats paddles; fitted and semi-fitted covers for boats, boat cockpits and rudder." "22 - Sails; Sailboat sails; storage bags for boat spars and sailboats." There is not a single mention of the Laser name in the trademark application. There was no opposition made to the trademark. The EUTM trademark for ILCA was registered and published on October 23 2018. No official announcement has yet been made by the Laser class, also named ILCA, as for the new name of the Laser. 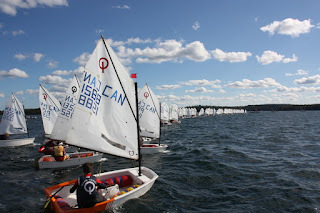 But with the firm denial by a class official to Tom Ehman from Sailing Illustrated that it is not the Gamma - for which a trademark application also exists in the US - it seems that ILCA is the new name to be expected for the Laser. Searches in various trademark databases suggest there are no other similar active trademark applications. We should know for sure in about 4 weeks - according to the Laser class April 4th statement. 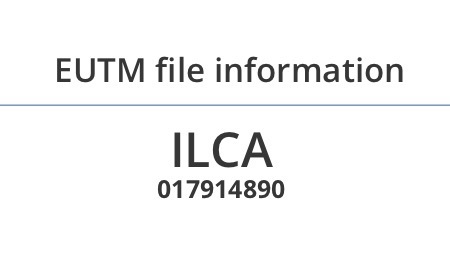 What is known for sure is that the Laser name change for « ILCA » has been in the works for about a year. And what is also clear is that the membership has not been consulted. An Explanation to the Fast Aussie Lasers? A note about those "spin-off classes offering a home to those not at the front end of the Optimist circuit"
Welcome to the Optimist and Open Bic Blog! "The Pessimist sees the Difficulty in the Opportunity. The Optimist sees the Opportunity in the Difficulty."